The Charity Commission has opened a statutory inquiry into a Christian charity, having been alerted to concerns that include non-primary-purpose trading and potential conflicts of interest. The regulator said in a statement today that it had begun investigating Into the Light Ministries, which is based in Leighton Buzzard, Bedfordshire, and has objects including the relief of financial hardship through providing funds, clothing or other basic essentials. The commission said it had started looking into the charity, which was registered with the commission in 2011, after a third party questioned the charity’s financial controls. This led to the regulator obtaining bank records and reviewing previously filed accounts, which the commission said revealed significant concerns about its accounts, potential conflicts of interest and non-primary-purpose trading, which indicated a possible risk to charitable property. 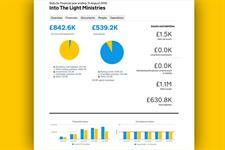 The charity’s income has grown rapidly, from £173,986 in 2011/12 to £842,578 four years later, commission records show. The charity’s latest accounts list trading income of £820,719, but it is not clear from the accounts, which the regulator said were not compliant with reporting standards, how this income has been raised. The link to the charity’s website on its entry in the regulator’s online register redirects visitors to what appears to be a shoe retailing business called Into the Light Leighton. The commission said its inquiry would focus on issues including whether any trading carried out by the charity was compliant with legislation, if the trustees were properly managing the charity’s resources and financial affairs, and if any conflicts of interest with connected parties had been adequately managed. The regulator said it would also consider to what extent the charity operated for the public benefit.